Let’s Play Ball. . . Kickball! Thank you for supporting TML at our 2019 Kickball Fundraiser! See all of the fun below. GATHER YOUR CO-WORKERS AND FRIENDS AND JOIN US FOR A GREAT TIME FOR A GREAT CAUSE! Individual Registration: Teams consist of 11 to 15 players ($900 a team). Team or individual registrations will be accepted at this time. Each individual participant will be placed into a team. All teams guaranteed multiple games with winners advancing. Team Registration: Teams consist of 11 to 15 players ($900 a team). Team or individual registrations will be accepted at this time. All teams guaranteed multiple games with winners advancing. Individual & Team registration includes a tournament t-shirt for each player, lunch ticket, and a free drink ticket. FIRST 100 who register a team with all members completing the Release and Liability Form will receive a FREE DRINK TICKET to our After Party and Awards Ceremony following the tournament. Tournament Winners: Trophies awarded to 1st, 2nd, and 3rd place team at our After Party. 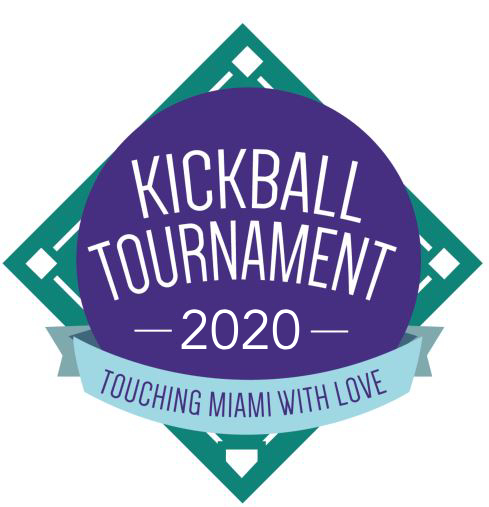 ALL PARTICIPANTS MUST BE 18 YEARS OF AGE OR OLDER TO PARTICIPATE IN OUR TOURNAMENT and MUST COMPLETE THIS WAIVER AND RELEASE OF LIABILITY, INDEMNITY, AND ASSUMPTION OF RISK AGREEMENT AND ENTER INTO IT VOLUNTARILY IN CONSIDERATION FOR BEING ALLOWED TO PARTICIPATE IN THIS TOUCHING MIAMI WITH LOVE EVENT. View/Print Waiver Form HERE or complete via the link below. Can’t play, but wanna join the fun? Come cheer on your favorite team, share lunch with the players, wear your team’s gear and more options! Come support our event by becoming an event volunteer. All approved volunteers will receive a free event t-shirt and lunch! We invite you to join in the fun by helping to underwrite the cost of our fundraising event. Please choose your sponsorship level or contact us to help you create a customizable option with you.